Fall time is one of my favorite times. It's because you can wear jeans and leggings all the time and no one can judge you! I love when the leaves start to turn colors and all the plaid starts to come out into the world. 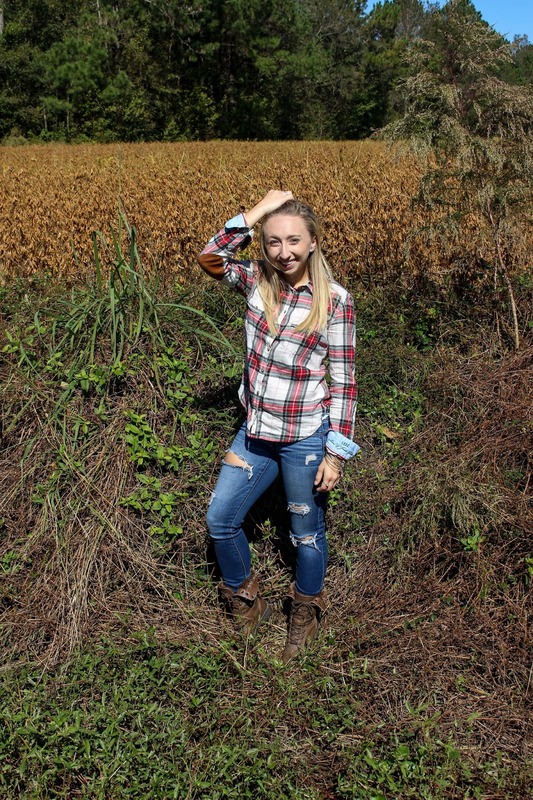 Plaid shirts are one of my go-to fashion pieces. I have a loose plaid shirt, a button up plaid shirt, a plaid cover.. I mean the possibilites are endless. 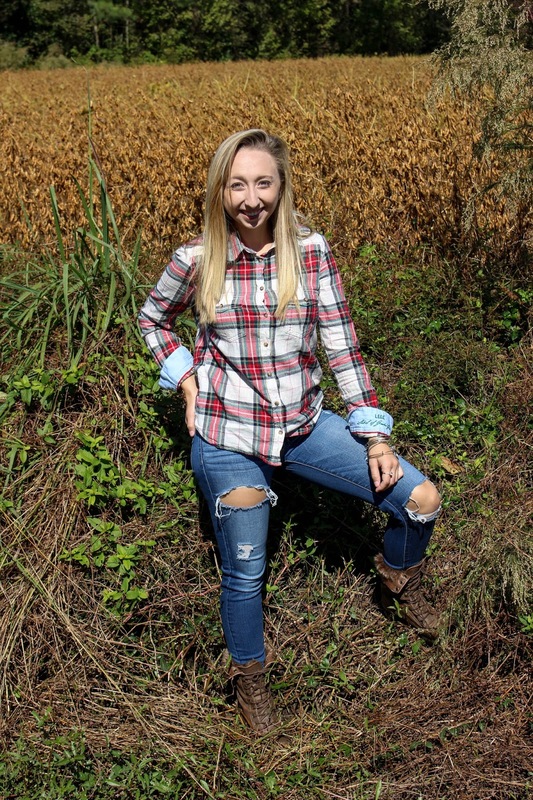 It doesn't matter what you have planned during the fall time, a plaid shirt goes with anything. 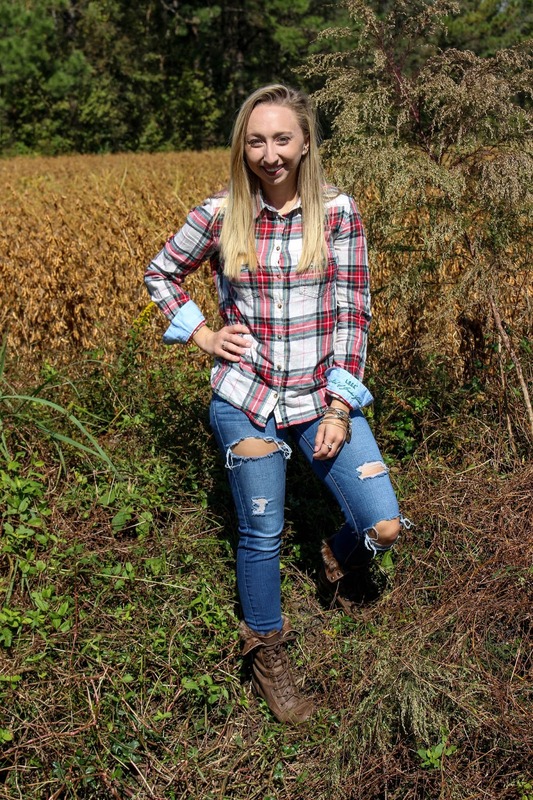 You could be helping with Thanksgiving dinner, or going to a pumpkin patch, and I guarantee a plaid shirt will not only be comfortable, but will look super cute in pictures! 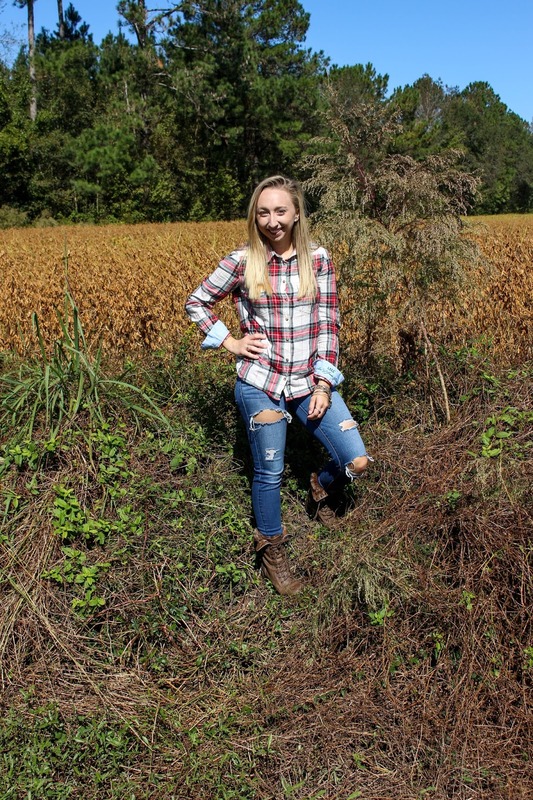 A plaid shirt + jeans + boots = BAM! Perfect fall outfit. It's perfect because it looks presentable, but without trying too hard. My plaid shirt is from Aerie, jeans are from American Eagle, boots are from Charlotte Russe, and I paried with my Alex & Ani bracelets. It makes for the simplest and most comfortable look during the season! I am always on the hunt for the perfect plaid shirt, do you have any recommendations on where to get them? Let me know below.